The following article is a reprint of a press release distributed by the National Catholic Educational Association. Extraordinary young people in Catholic schools are recognized for selfless service, determination, innovation and ideals. The National Catholic Educational Association (NCEA) has established an awards program to recognize Catholic school students in elementary and secondary schools who through their selfless service, determination, innovation and ideals are changing the world. The honorees embody the standards of personal conduct and public service through their faith, leadership and service to others. The 10 awardees will be presented with the prestigious NCEA Medal of Honor and Certificate at ceremonies held at their individual schools the week leading up to and during Catholic Schools Week, January 29 – February 4. A complete list of awardees is available on the NCEA website. The Youth Virtues, Valor and Vision Awards program is made possible, in part, through the generosity and support of Cross Catholic Outreach, a Catholic ministry whose mission is to mobilize the global Catholic Church to transform the poor and their communities materially and spiritually for the glory of Jesus Christ. Cross Catholic offers dynamic programs and free resources to Catholic educators to engage students in faith-in-action service projects and works of mercy. 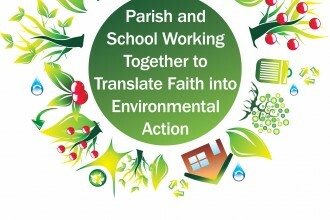 More information about Cross Catholic Outreach and its Parish, School & Community Development initiatives is available online. 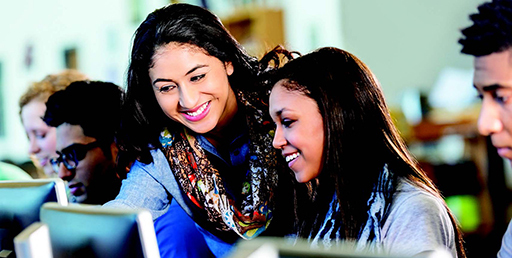 Rooted in the Gospel of Jesus Christ, the National Catholic Educational Association (NCEA) is a professional membership organization that assists its members to fulfill their teaching mission of the Church and to lead, learn and proclaim the good news of Catholic school education. For more information, visit www.NCEA.org. Nominations Open for #NCEA19 Social Media Influencer Contest! The following article by Sharon Horvath and Andy Pike originally appeared in the September/October issue of Momentum. “TO PROMOTE THE JOYFUL STEWARDSHIP OF OUR EARTH THROUGH SPIRITUALITY, SIMPLICITY, AND SUSTAINABILITY.” This is the mission of the Creation Care Ministry of St….